If you follow me on Instagram, you saw this picture a few weeks ago. It was taken the morning (very very early in the morning) of our year-end class field trip. The students and I designed our own tshirts based on an idea I saw on the web.Thanks for the great idea Mrs. Neal from Falling Into First! My kids LOVED this idea and they turned out AMAZING. I even had a student draw a portrait of me to put on the Tshirt! As much as I love my tshirt, I know I will most likely never wear it again (except maybe for sleeping in, but I have a million of those and don't need another one). It just didn't feel right to get rid of it, or to store it. My students all signed the back and it's a great souvenir. So, what was I to do with it? Then, I came across a pin for THIS. I LOVE PINTEREST! And I LOVE Mrs. Fultz's Corner just as much. She's always full of great ideas and is very creative. 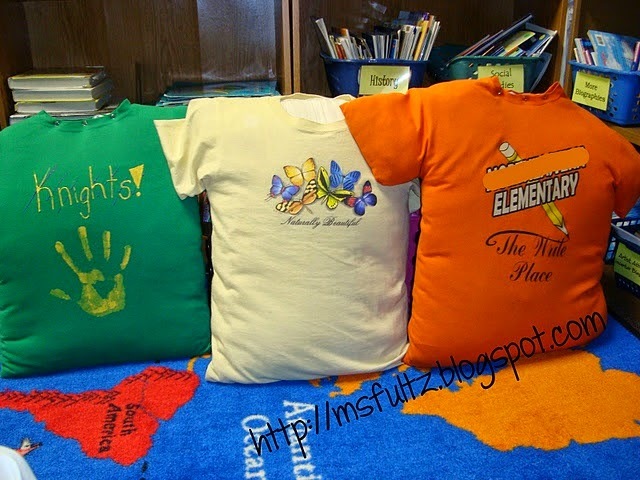 I knew I just had to make myself a tshirt pillow for my classroom library! Here is my first School DIY for this summer. I love it. However, I'm going to reconsider the white tshirt next year. It would be so much cuter to have brighter colours in my reading corner! Classroom library pictures coming soon! 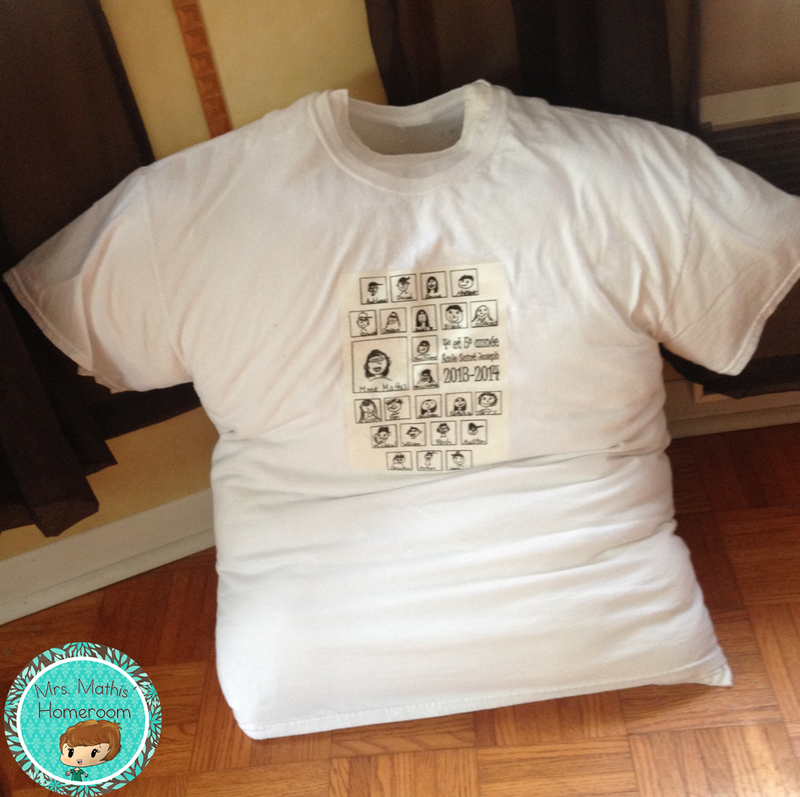 Do you have a collection of special tshirts? How do you display or store them?